Great quality and very useful for carrying everyhing at calving time. Specially designed bag for all of your calving gear. Long bag with four internal pockets for ropes, chains, wire and small tools and the looped handles make it easy to carry over your shoulder. 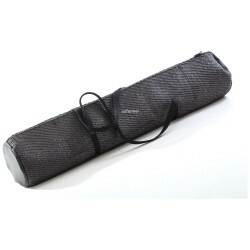 Made of heavy duty fabric and zip, it can all be hosed clean if needed. Length 1.05m x 20cm diameter at ends. Soft synthetic rope 8mm x 1.5m specially made for obstetrics.Small finely-spliced eye loop both .. Designed and manufactured by an Australian vet these straps eliminate the leg damage and trauma ..
Special eye-spliced traction ropes for your calf puller. 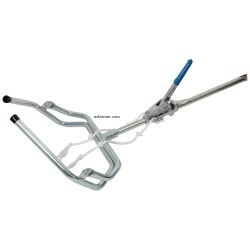 Make pull-knots to suit calf puller hooks. .. 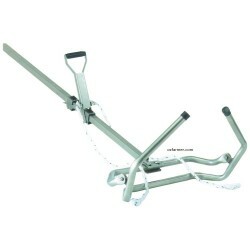 The HK121A calf puller has all the benefits of the HK brand including the very user-friendly tractio.. The Vink Beef Cattle is an upgraded version of the standard and famous Vink Calving Jack. 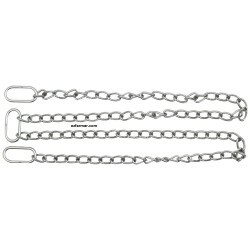 It is spec..
Our nickel plated calving chains are of top quality USA manufacture, tested to over 500kg. Hardened .. 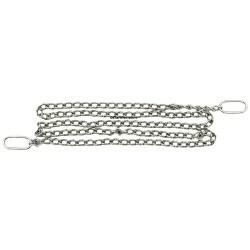 These are great quality chains. The 150cm chain features an intermediate loop-link for greater versa..
Soft, safe, flat-braid rope featuring 'stitched flat' areas before each eye loop. These create flat .. This is made from our strongest road-mat material. It will stand up to any abuse - like being drive..